RACE RECAP: MARYVILLE, TN--The Southern All Star Dirt Racing Series presented by Max Fab made stop #2 of the 2018 season at the Smoky Mt Speedway in Maryville, TN., for the WIMZ Rockin with the Stars/Hall of Fame 40 and there was another first time series winners as Michael Chilton of Salvisa, KY., took the lead midway through the race and then held off challenges from Shannon Buckingham and Tommy Kerr late in the race to get the win. Fourth place went to current Southern All Star point’s leader Jay Scott and fifth to Robby Moses of Maryville, TN., with his best career finish with the series. Finishing in sixth place was Bobby Giffin, seventh to Dusty Carver, eight to Ray McElhiney, ninth to Eric Hickerson and tenth to Dakotah Knuckles. RACE TIDBITS: Southern All Star point contenders Jay Scott had a solid run with his fourth place finish, Mark Dodson dropped out early due damage from restart with Jimmy Mac, Ray McElhiney pulled in midway through race but due to high attrition came back out for a eighth place finish and move ahead of Dodson in point’s championship, Eric Hickerson pulled in early due to ill handling car but returned to get a ninth place finish and move up in standings. Others in the top ten in points failed to show, Brad Skinner, Riley Hickman, Joseph Faulkner, Jadon Frame, Michael Page and Kenny Collins. It was full moon night of racing as with only 20 cars the field was set and given an extra hot laps session and in that overall SUNOCO Race Fuels fast qualifier Ross Bailes broke a transmission as well as Casey Roberts and Dakotah Knuckles blew a tire and messed his quarter panel up, Roberts failed to start the main. Bailes led lap one but that was it as trailing arm broke going into turn one spinning him out ending his night, then Erick Wells looked to be the man to beat but under caution flag his throttle kept hanging ending his night, then Knuckles hit the back stretch wall and Cory Hedgecock had a strong car till he burnt a piston while running into the second spot. David Crabtree fought power steering issues all day and never goes them straightened out. First time starts with the series this season include Robby Moses, Dusty Carver, Lamar Winkle, Eric Wells, Steve Smith, Craig Greer, Jimmy Mac. 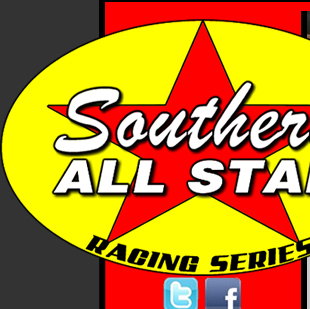 The next Southern All Star Dirt Racing Series event will be Friday night September 7th at the Oglethorpe Speedway in Pooler, GA., a 40 lap $4,000 to win event as then on Saturday night September 8th at the Screven Motor Speedway in Sylvania, GA., the 75 lap $7,500 to win Rebel Yell. 2018 CRUISE WITH THE CHAMPIONS/DIRTONDIRT.COM ROOKIE OF THE YEAR: 1.Jay Scott 924; 2.Ray McElhiney 738; 3.Mark Dodson 724; 4. 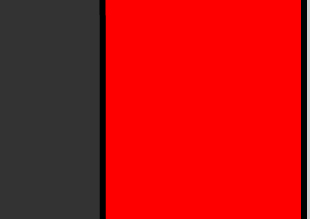 Joseph Faulkner 454; 5.Pearson Lee Williams 78.